In the world of forklifts, a Moffett truck mounted lift truck serves as the ultimate productivity tool for delivering much more in a business and allows business owners to gain a lot more. It offers versatility, precision, a competitive edge, and more profitability. The Moffett truck-mounted forklift is the ideal equipment that allows operators in warehouses to unload cargo without the need for further assistance. Keep in mind that the faster turnaround also translates into increased profitability as well as better logistics. What makes this a convenient choice is its convenient fit at the rear of the trailer or truck. It takes up less of the load space, and lets businesses transport more goods, and enjoy better profits. Rest assured that dismounting the forklift is a breeze and you can get back to work within a short time. You should know that each model in this range comes with distinctive designs, and offers the most flexible applications you can imagine. At Moffett Truck, we welcome you to our website, where you will discover the best, reliable Moffett lift truck models. For the best one that suits your business operations, get in touch with us today! Is a Moffett Truck Built to Perform? Keep in mind that time is money. When you choose a Moffett truck mounted lift truck, this allows drivers to easily unload cargo without the need to wait for any help. All operators have to do is disengage the forklift from the truck, and unload the cargo; they reconnect the forklift and simply move on to make other deliveries. For most business owners, this leads to improved service quality and offers better profitability. These trucks in our inventory are lightweight, but it picks up more than its weight class. Its rugged manufacture is what makes it reputable equipment, one that you can cruise through rough terrains and tough weather without breaking a sweat. The good thing about this brand is that it offers a diverse range of lift trucks with your choice of options. They are perfect for efficient deliveries and make it quick in various environments and terrains, whether it is in delivering building supplies, distribution of goods, handling hazardous materials, or transporting recyclables and waste materials. 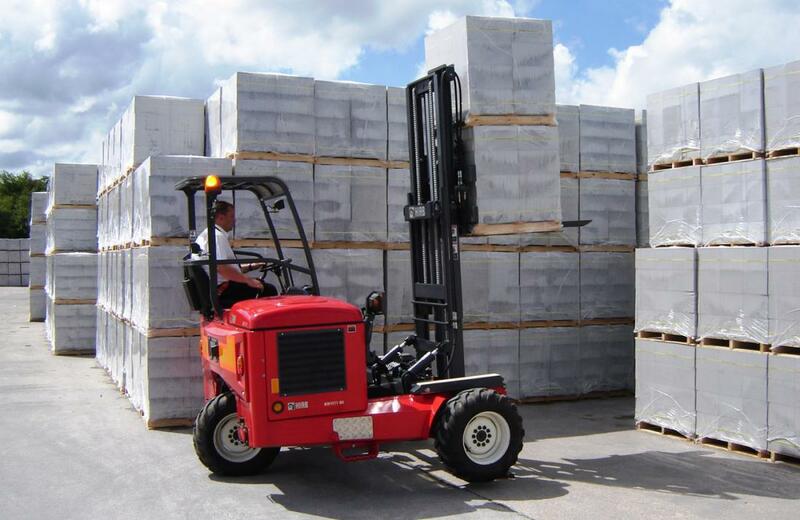 With each one of the Moffett mounted forklift, everything about the design comes keeping comfort in mind. Users can drive it smoothly, on rough or smooth terrains. The operator’s compartment is spacious enough to keep their focus and offer clear visibility from a good vantage point along with a good steering wheel, better control levers and pedals are within better reach. Moffett's in our collection definitely is built to perform. If you are searching for used Moffett for sale, we also have those in the best condition. Contact us now for more information regarding our services.